By combining deep knowledge of real estate markets, institutional portfolio management best practices, and data science, we created a seamless real estate investment without the high fees and high minimums of traditional real estate lending deals. 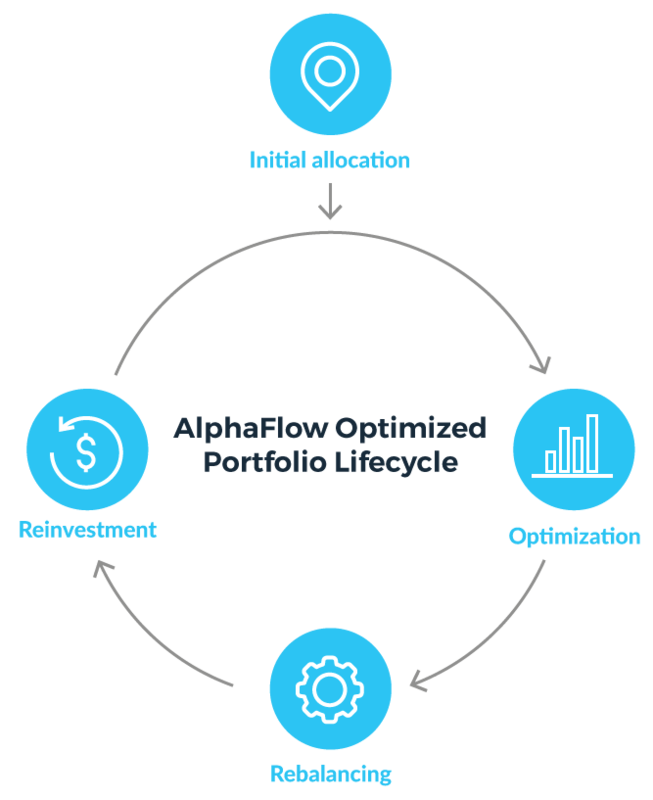 You make one investment, AlphaFlow builds you a diversified, automatically rebalanced portfolio of real estate loans. It’s that simple. You invest $10,000 with AlphaFlow. AlphaFlow spreads your investment across 75+ loans. You earn up to 7.5-9% with interest paid monthly. You can reinvest your earnings or withdraw as loans are paid off. We put your money to work quickly by getting you initially allocated to a few notes before running your portfolio through the optimizer. Typically this period is not more than a few days. Our optimization algorithm diversifies your portfolio across 75-100 different loans while keeping the portfolio within the target constraints (7.5-9% target net yield, loan-to-value < 75%, 15+ states). As we invest in additional loans around the country, we re-run your portfolio through the optimizer to make sure it’s diversified. If you have auto-reinvest enabled, as any loans repay or earnings are paid out, AlphaFlow puts those funds back to work for you automatically. AlphaFlow invests in short-term, asset-backed mortgage notes, in a first lien position, providing security and assurance of repayment. 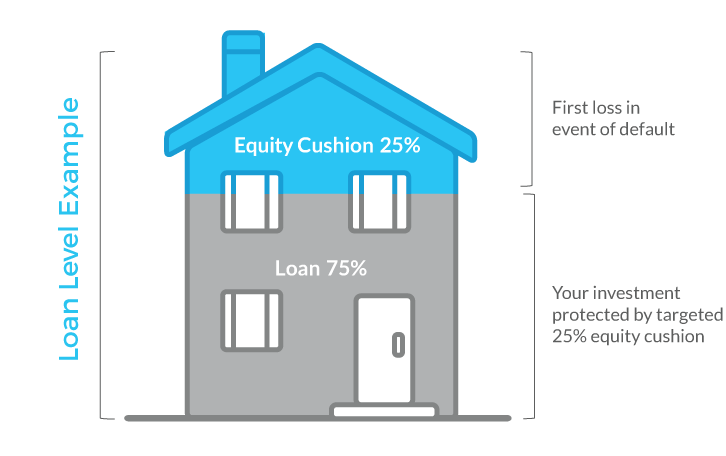 Portfolios target a maximum loan-to-value of 75%, providing a minimum 25% equity cushion. AlphaFlow performs a comprehensive review of each lender before purchasing any loans. AlphaFlow can now buy loans from the lender, subject to an annual process review in case of any material process changes. AlphaFlow’s loan selection process focuses on credit quality over quantity. Alphaflow’s review process is data driven, informed by local market trends and enhanced by AlphaFlow’s Advanced Analytics platform. The loan selection process results in a rejection rate of ~90%. 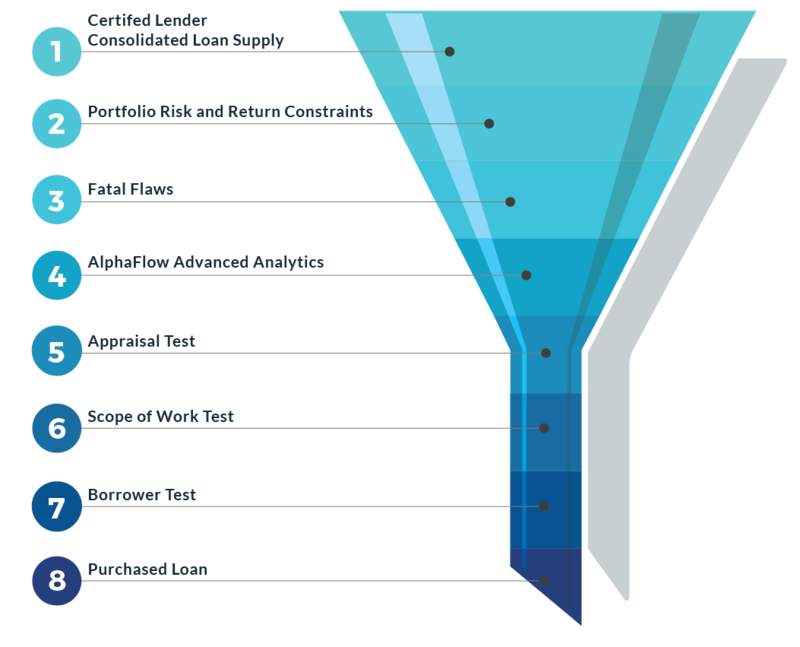 What Is AlphaFlow Advanced Analytics? 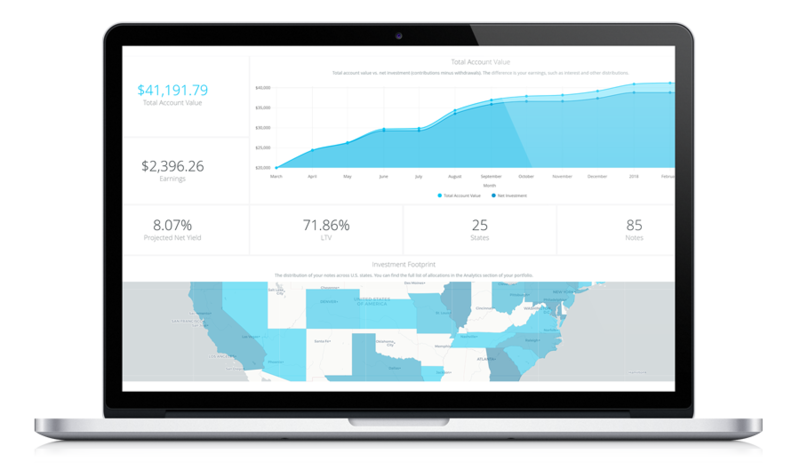 AlphaFlow Advanced Analytics provides a unique forecasting perspective, leverages local market trends, and allows AlphaFlow’s Investment team to quickly analyze and make decisions on investments. Over 50 factors are reviewed as part of the analysis, summarized into Borrower, Market, and Property factors. Interest payments are deposited into your AlphaFlow account 1 to 2 times per month. We issue a single K-1 each year for all of your investments made throughout that year with AlphaFlow. Whether you only invest once or add funds multiple times, it’s a total of only one K-1 per year. *We may charge servicing, origination, or other fees in certain circumstances on certain real estate loans in your portfolio which will always be disclosed. You can invest with your SDIRA. Ask us about it when you sign up. We’ll be happy to assist with the process.